As an experienced manufacturer for years, we’re in honor to offer you our professional suggestion to meet your requirements，such as hardening, nitriding, carburization, carbonitriding, QPQ and so on. 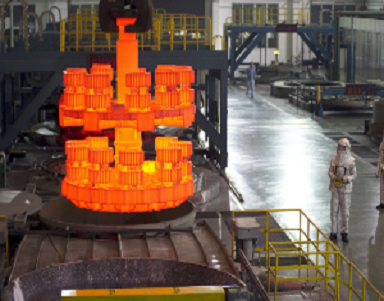 Hardening and tempering is the process of tempering in high temperature after hardening. It makes steel and iron parts having good intensity and strength, also plasticity and cutting. 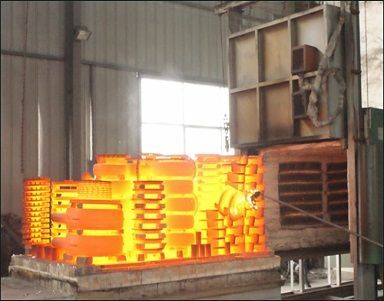 Solution treatment is the technology of heating process, which retains constant temperature when heat up alloy into high temperature monophase field, making surplus field dissolve in solid solution and cool quickly, to result in saturated solid solution. It can make steel and alloy have better plasticity and tenacity . Aging treatment is the technology of heating process, which makes alloy parts retain their forms, shapes and natures vary in time history after solution treatment, in high temperature hardening or cool deformation. It is to remove internal stress for better hardness and intensity. General hardening is the technology of mental heating process, which heat mental parts to some temperature and keep some time, then put in quenching media, for better steel stiffness, hardness, wearing resistance, endurance strength and ductility. It is to meet the different requirements of machine spares and tools, also iron magnetic property, corrosion resistance of some special steel in physical and chemical nature. 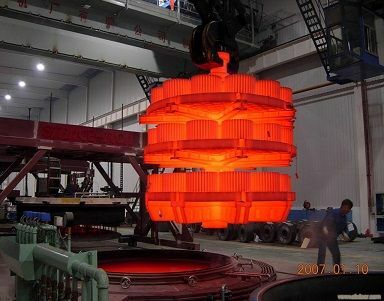 High-frequent hardening is the method of mental heating process, which makes parts have some induced current, then heat parts face quickly, and harden quickly. It is to make mental parts hearts and face have different heat process. It is the process of hardening cool in vacuum furnace, with gas medium mainly (inert gases), water and vacuum hardening oil etc. It features in having little deformed, high efficiency, energy-saving, and free pollution etc. Nitriding is the chemical heating process technology, which make nitrogen-atoms permeate parts surface in some temperature and medium. It results in the nitride parts having high surface hardness, wearing resistance, endurance strength, seizure resistance, weather and superheated steam resistance, temper soft resistance, and reducing notch sensitivity. It refers to carbon atoms permeate steel surface. It makes low carbon steel have surface of high carbon steel, when hardening and low tempering, the parts surface features high hardness and wearing resistance, while the parts center remain low carbon steel ductility and plasticity. It refers to the chemical surface heat process technology, permeating parts surface both carbon and nitrogen. Compared with carburization, it features higher hardness, higher wearing resistance, and having corrosion resistance, also improve steel endurance limit for cementation layer remained crushing stress. Compared with nitriding, cementation layer deeper, surface brittle smaller. Quench—Polish-Quench, a new mental surface intensified modification technology, can significantly improve mental surface wearing resistance, corrosion resistance, while parts deform little. It compounds nitriding and oxidizing technology, compounds nitride and oxide, compounds wearing resistance and corrosion resistance, compounds heat treatment technology and antiseptic technology.